This 1930s house in Chapel Hill had always been a perfect fit for the homeowners and their child. As the teenage years started to approach however, it was time for a housing shift. Initially, building a new house was considered and our clients purchased a parcel of rural land to pursue that dream. Upon further reflection though, the family decided to stay put and continue to enjoy their great neighborhood – just with a major renovation to the house for “modern-life” enhancements. 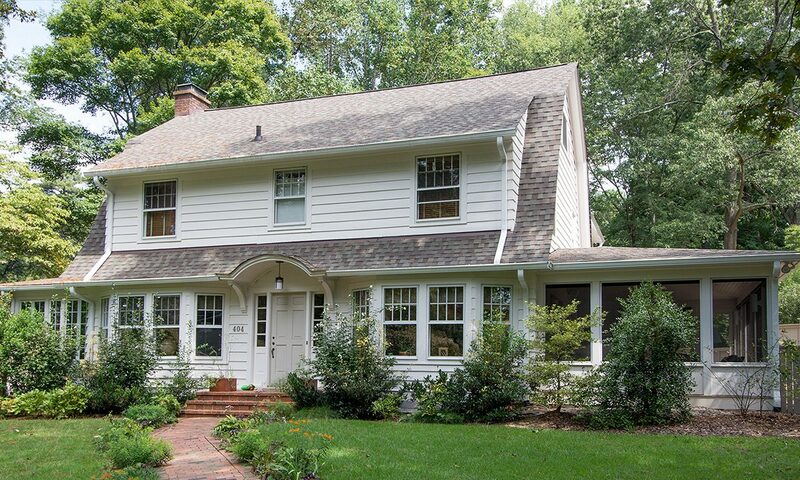 The Dutch Colonial house in one of Chapel Hill’s historic districts, maintained much of its original character from the street view. 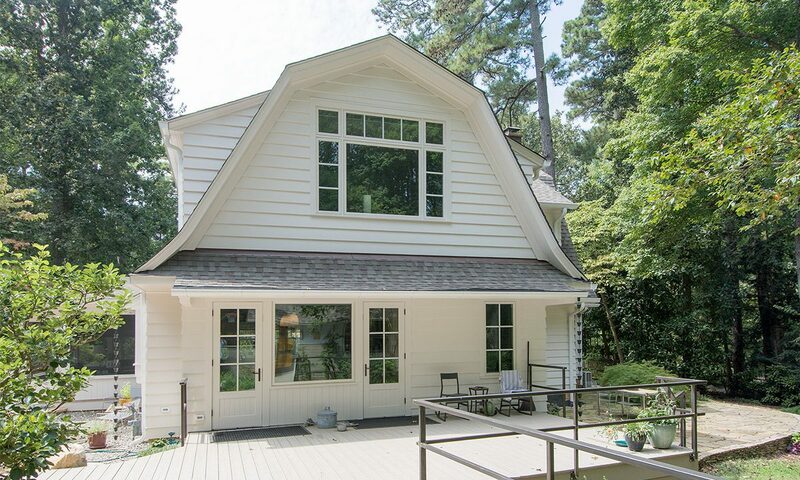 Away from the street, a former rear service porch had been altered and enclosed. That area become the primary focus of the exterior changes. 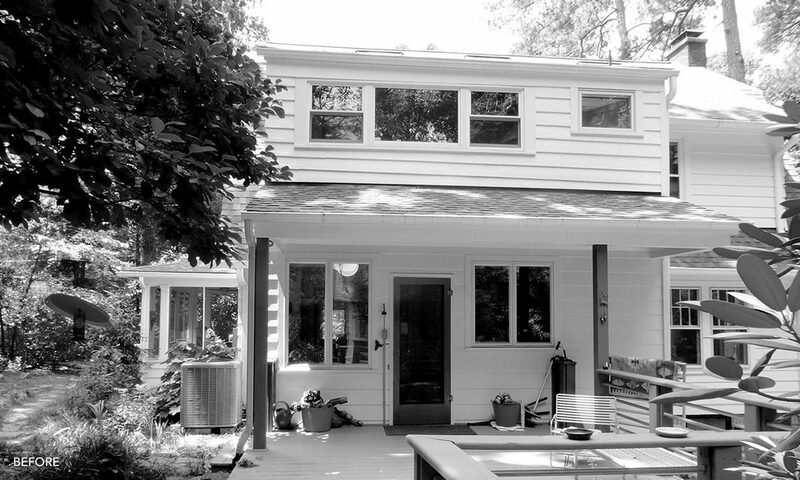 The altered porch zone was removed and a new two-story addition was added in the style of the original house, as the family wished. 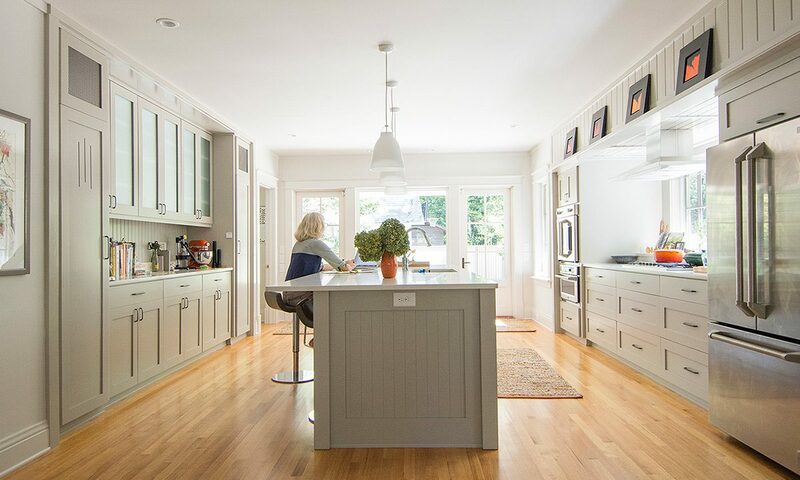 An open floor plan for an expanded kitchen and dining was desired as the primary main level change, supplemented by a new laundry/mudroom at the back entry. We also improved connectivity to the outdoors, including an expanded screened porch off of the dining area. A designated master suite was key on the upper level. The design solution for both levels united repurposed existing space with the areas of the new addition, which totalled 700 square feet. 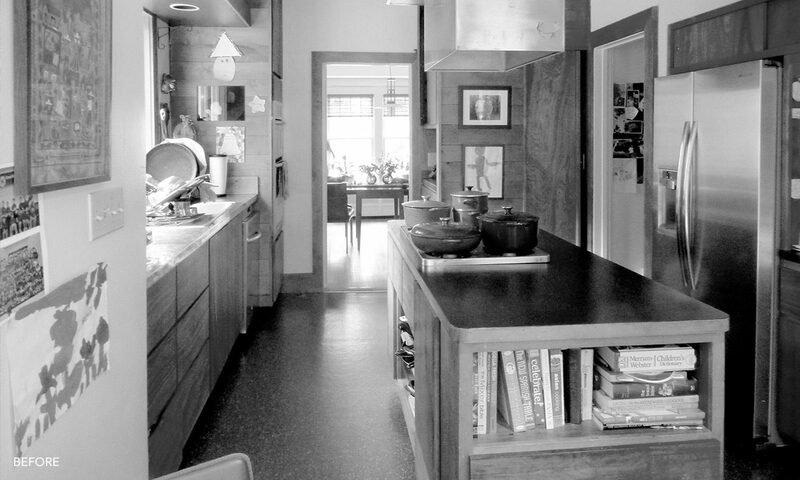 A new projected rectilinear bay window in the kitchen allowed the placement of the cooktop on a window wall. This provided both an efficient work area and a large increase of natural light and views. A Clarus glass writing board integrates nicely in the mud room and offers a “hub” for family scheduling. The orange board combines with the orange dining room light fixture to provide an owner-desired color accent to the project. The completed Chapel Hill renovation was the second project for the family by Samsel Architects. The first project was a contemporary mountain house in the Western North Carolina mountains and can be seen here on our site.